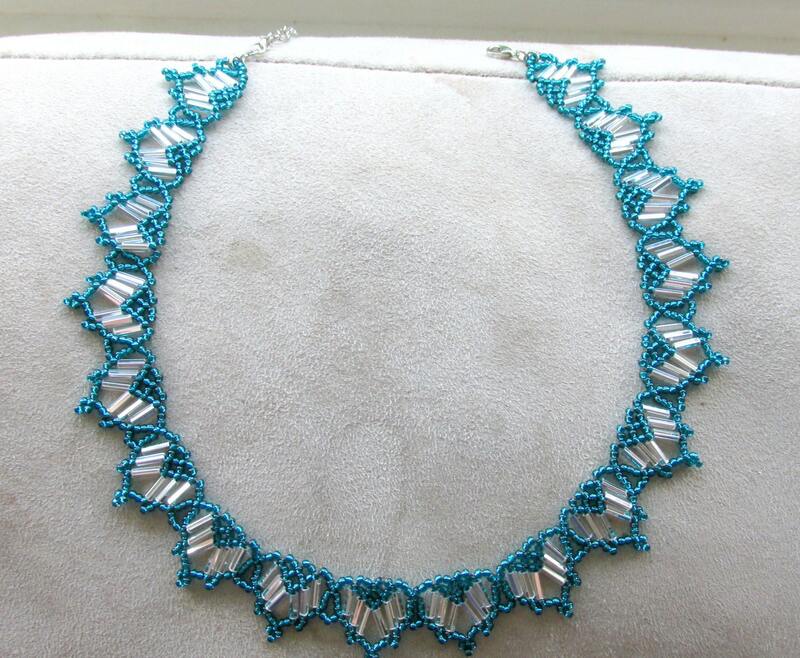 This gorgeous turquoise and silver choker necklace is beadwoven with high quality turquoise Japanese seed beads and high quality Czech bugle beads. It would make a great addition to that Little Black Dress, for a splash of elegant color added to your outfit! Just imagine this one of a kind choker drawing all eyes to you wherever you go! The length of the necklace is approximately 15" (38cm) with a 1.5" (3.8cm) chain extender. The necklace clasp is a lead & nickel free lobster clasp.